John was born in a house which used to stand on the corner of what is now Church Street and the terrace running down to the mill. George Tennyson (Lord Alfred’s grandfather) had an aunt, Susanna who lived there after her husband, William, died. One of her daughters, Dorothy, married Jonothan Conolly, a younger son of good Irish family, and their son John Conolly was born here in 1794. He was the middle son with William, born 1792, (who became an apprentice to local Doctor Z Barton in 1805 and then moved to Tours, France in 1815 to practice medicine) and James, 1796, of which nothing is known. His father died whilst he was quite young and he was sent to Hebden Grammar School near Hull where he ‘learned nothing for 7 years’ the headmaster being uninterested in his charge, except to aim blows at his head. His mother remarried, a French Émigré and moved to Hull, his stepfather treated him well and taught him an enduring love of the French language, which he returned to at many points in his life. At 18 he became an officer in a militia regiment and married the daughter of Sir John Collins at a relatively young age and moved to Tours to join his brother, however, a year later he enrols at Edinburgh University to study medicine for which he is awarded MD. Upon graduating, he moved into practice in Chichester, then on to Stratford on Avon where he remains until 1827, where he takes an active part in improving the sanitary conditions of the borough, being an Alderman and Mayor. He also sets up a public dispensary. He leaves to take up the appointment of Professor of the Practice of Medicine at University College London at the young age of 33 which he holds for the next 4 years. It is at this time that his interest in the care of the insane is brought to the fore, he finds that new doctors are not trained in the diagnosis and care of the insane and is thwarted in his attempts to redress this. However, he produces his major work Indications of Insanity at this time as an aide memoir for students. He is himself appointed ‘Visiting Physician of the Lunatic Asylums and starts to tour the country, viewing these institutions. He is now aware of the works undertaken by Pinel, a French Doctor in 1792, in the notorious Bicetre asylum where Pinel fought with the authorities to un-manacle some of the ‘less dangerous maniacs’. The heavy chains are removed with caution and a gentler regime is put in place, to which these lucky men respond well. In the UK in 1796 Doctor William Tuke had undertaken similar work at the privately run The Retreat in York and in Lincoln, Doctors Charlesworth and Gardiner Hill are taking the same cautious approach with some of their patients, again with success. It is now that Dr Conolly is appointed Resident Physician to the Middlesex County Asylum at Hanwell, the largest asylum in England. He commences his post on 1st June 1839. He immediately starts to introduce his ‘mild and human treatment of the insane with the total abolition of all mechanical restraints’. He was about to undertake the greatest change in the care of the insane in the largest asylum in the country. He produced annual reports which became the guiding principles for other asylums around the country who slowly introduce the rule of non restraint. His report of 1840 proudly states that ‘no return to the use of mechanical restraints in any form had been needed; he thanks his staff and especially the Matron, Miss Powell, for their care of the patients. In 1842, he states that ‘after the total disuse of such methods of control, the whole character of the asylum undergoes a gradual and beneficial change’. 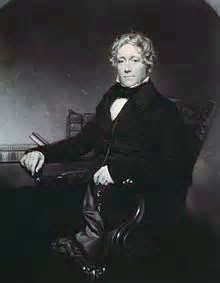 In 1844 he ceased to be resident physician at Hanwell, but he remains a visiting physician until 1852. In his report of 1849 he writes ’10 years of the trial of the system of treatment at the Hanwell Asylum was completed, each successive year has been increased tranquility, diminished danger. The great and only real substitute for restraint is invariable kindness’. At all times he acknowledged the debt he and his patients owed to Pinel, Charlesworth and Gardiner Hill, but the medical profession and the public rightly hailed him as a hero for bringing this level of care to the forgotten interred masses. 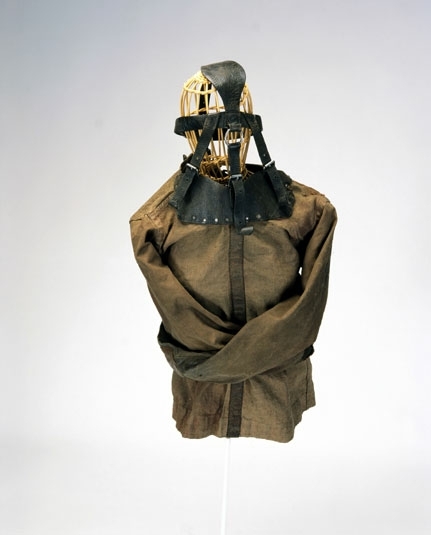 His practice of non-restraint is now in use countrywide, a report by the Commissioners in Lunacy in 1847 state that having visited 66 public asylums in England and Wales; they found that only 47 patients out of 27436 were at that time under restraint. One particular good example being The Royal Naval Hospital Lunatic Asylum, where inmates were even allowed to go out fishing on the Solent! He also becomes a cause célèbre as on 10th June 1840, an Edward Oxford attempted to shoot Queen Victoria, he is charged with Treason, but pleads insanity. Dr John Conolly is called as a medical witness at the trial for the defence. He states he believes that Oxford suffers from a disease of the brain as evidenced by the shape of his head. Conolly believed that Phrenology was a useful diagnostic tool when taken into account of the general physical circumstances of each patient. By 1869 his bold approaches were being used in most of Europe and America. However the vexing issue now became one of space in these county asylums, as the success of his gentler ways became widespread, more patients were being brought forward by both families who were unable to cope and the poor unions, who realised that by placing the insane within an asylum, they could absolve themselves of both responsibility and cost. A major building project was undertaken with new wings and storeys being added to the municipal institutions. Out of this came another enlightened approach, what we would now call ‘care in the community’. Small groups of patients were moved into dwelling houses outside the asylums and with the support of external superintendents, were able to undertake menial jobs like washing clothes, farming etc. On retirement he set up a private asylum in his home called ‘Lawn House’ (in deference to Lincoln) to help what he termed ‘the distressed middle classes’, and their insane family members, to receive humane treatment. Despite failing health, he continued to work for the fair treatment of all insane patients. He wrote medical papers including ‘The treatment of the Insane’, which was used by the medical profession for many years. He died 5th March 1866, at his home, leaving a very grateful nation, a son and two daughters, who married a Dr Tuke and a Dr Mausdley respectively, both eminent ‘psychological physicians’ in their own right. 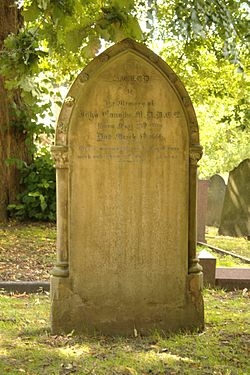 Dr John Conolly is buried in Hanwell cemetery and a marble bust in his honour is at the Royal College of Physicians in London in recognition of his lifetimes work. 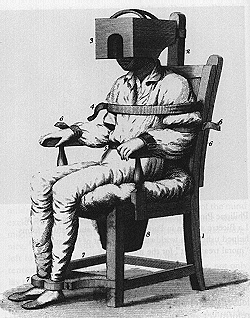 In 1869 Dr Conolly was honoured by the American government for his groundbreaking work in the treatment of the insane. The Times Obituary stated that ‘his whole life was one of active benevolence’. 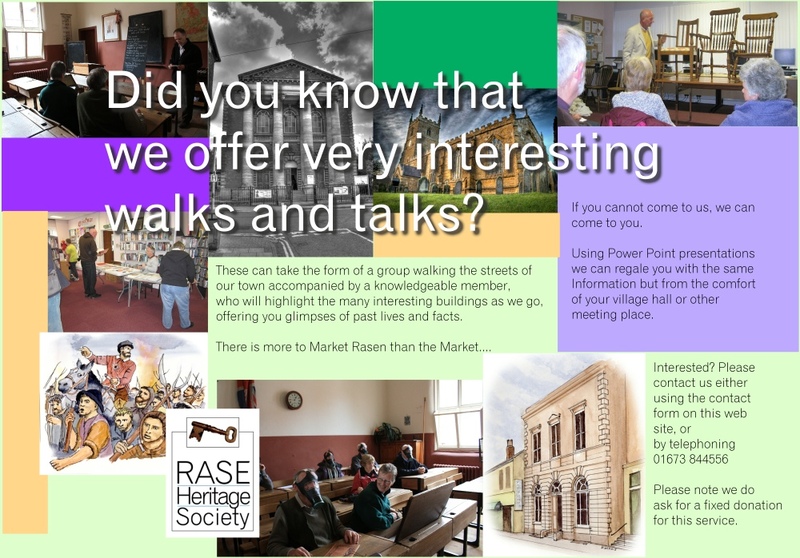 All this from a humble beginning in Market Rasen. Memoirs of Dr Conolly MD DCI by Sir James Clark Bart KCB MD FRS Physician in ordinary to the Queen published London: John Murray, Albermarle Street 1869. Lincolnshire Past and Present Volume 8. American Government Honour – Stamford Mercury – 17/12/1869.